Today is Halloween. While I don't really get in the fancy dress spirit of things, the latest single from Wesley Eisold and his Cold Cave outfit is perhaps an appropriate celebratory substitute. Inspired by 19th century French poet Tristan Corbiere, 'A Little Death To Laugh' is another slice of "darkwave" from the American, himself an occasional poet. 'A Little Death To Laugh' is the follow-up to last year's 'Cherish The Light Years' (stream in full here), carrying on very much from the heavily electronic ethos of that record. Its darkness contrasts another track off the single, wearing-your-influences-on-your-sleeve b-side 'Tristan Cobiere' - a more dreamy, experimental number which floats quietly away. Listen to the tracks below. 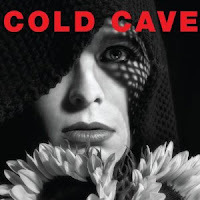 Find more info at coldcave.net.